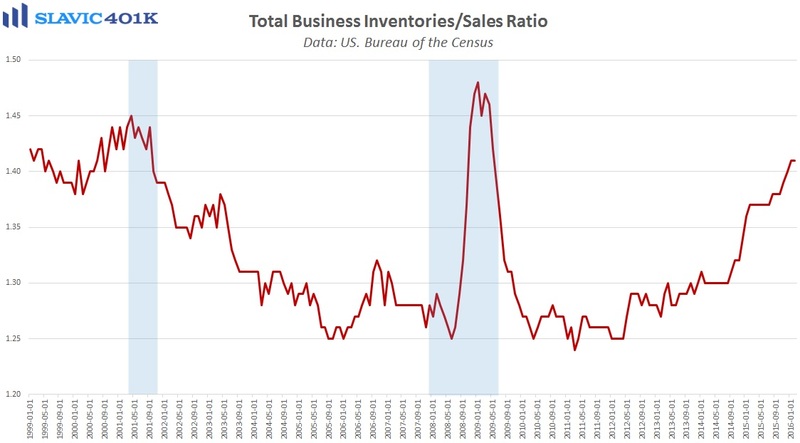 Elsewhere, a report from the U.S. Department of Commerce showed that total business inventories in America fell by 0.1 percent in February (lagged), in line with expectations, but total sales tumbled by 0.4 percent during this same period. 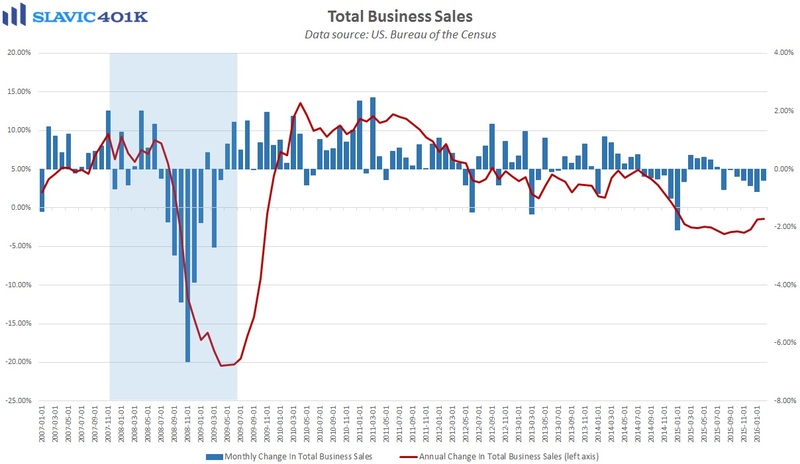 Altogether this left the important stock-to-sales ratio at 1.41, a level recently seen only during the past two recessions. 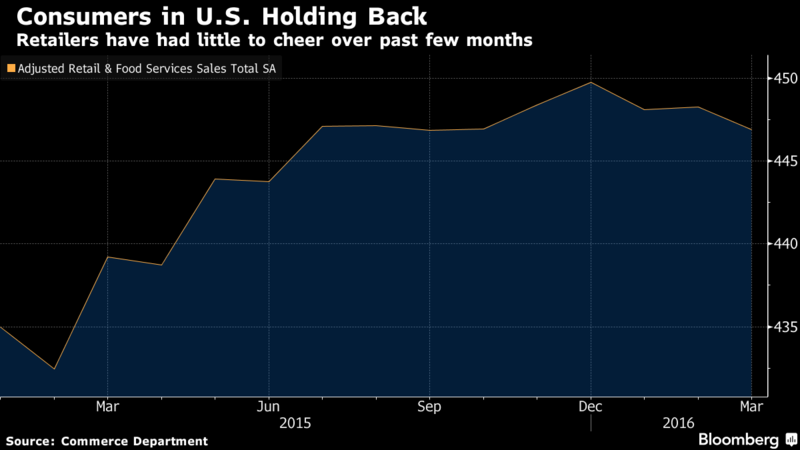 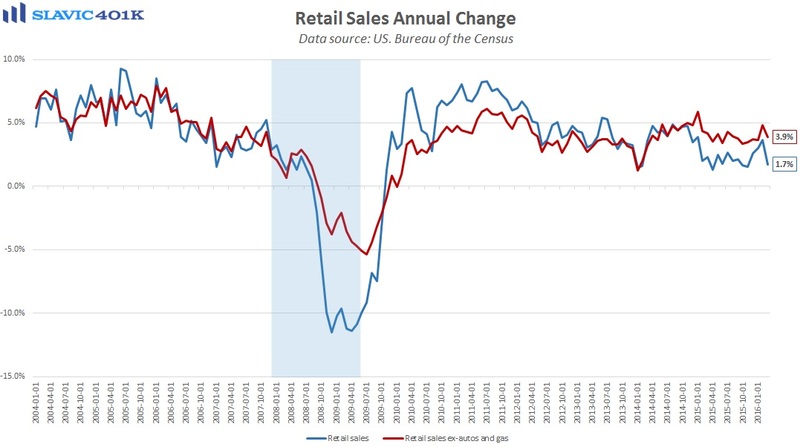 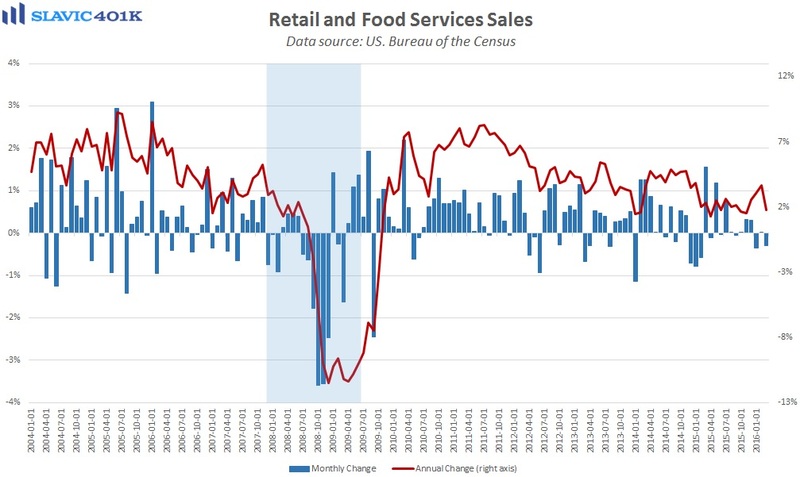 Given the way that U.S. gross domestic product (GDP) is calculated, this report, along with the disappointing retail sales figures, should cause many analysts to once again lower their estimates of first quarter economic growth.